Annette Fagon is a loud and engaging comic newcomer, making fast progress on the UK comedy circuit. Growing up as that rare thing in the midlands of the 1980s, the daughter of a Jamaican newsagent mother, has clearly left its mark. Despite years of child drama classes and theatre performances, Annette frustrated her mother by spending 6 years at university, leaving without a degree, and returning to work there for a further 2 years. After a variety of odd jobs – disability support worker, theatre house manager, comedy club waitress – Annette took up an odder job, in stand up comedy 3 years ago. 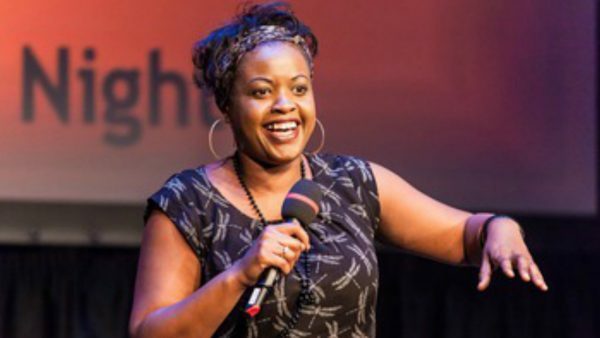 Currently talking – loudly – about everything from hoodies and mobile phone habits to Beyonce’s mental state, she has made rapid progress, appearing at theatres such as Nottingham Playhouse and comedy clubs such as Jongleurs – on the Upfront CafÃ© Tour. Annette’s early efforts have quickly created a buzz that led to a nomination as Best Newcomer at the 2006 BECA Awards and Midlands Stand Up Runner up 2007 There’s more to come.